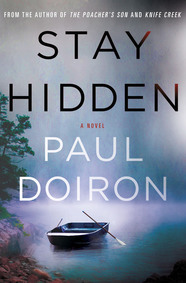 Co-hosted by LibraryReads and the AAP Trade Libraries Committee, this mystery panel will feature five authors including Paul Doiron (STAY HIDDEN). A book signing will follow the program. Join Anne Spieth as she presents her favorite forthcoming adult titles from Macmillan at this book buzz hosted by the AAP Adult Library Marketing Committee. Follow the show’s final moments on Twitter at @ALA_PLA and #pla2018.